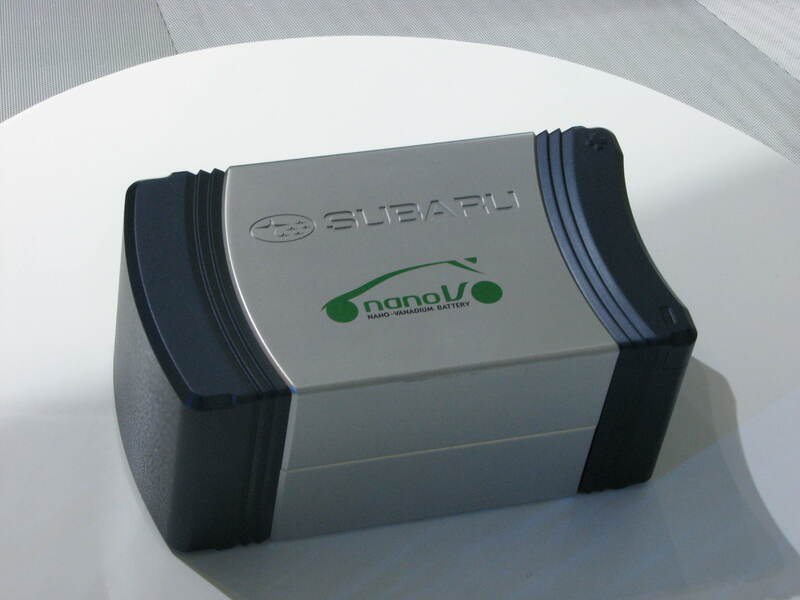 On the booth of Subaru at the Geneva car exhibition was in front of the G4e this battery. Electric vehicles and rechargeable hybrid vehicles are completely dependent on price and quality of available battery technology. Overview about the status of the development. Geneva fair report. While Fisker is more for the rich people, BYD shows the big surprise on the Geneva car exhibition. Fair panorama from the Geneva car show. At most of the exhibition pieces, there has to be the question, how to pay the fuel in10 years. Build Your Dreams - I dream since 1991 from a car recharged by the electric power from the roof of my dream house..
Up to 80km electric only range, on longer travels provides a gasoline engine the propulson. Fisker follows the logical way to bring new technology first in the luxury class. Since decades, we are every time happy about a little bit less fuel consumption at a new car. Some year ago, BMW would have been celebrated for this hybrid car. 2 years ago, I wrote enthusiastic at the EVER Monaco about the Citroen C4 Dieselhybrid. But time does not stop, the requirements develop fast further. Michelin demonstrates the effect of the rolling resistance. They let one car with Michelin energy saver and an other car with standard tires down a ramp. After the IAA 2007 seeing again the Opel Flextreme. The Video (9 MB) shows the car on a turning disk. 200 km range should this concept car have. Here disturbs only the name concept car. Where to order such a car? When to drive such a car? It's time to stop calling urgent required cars as ''concept cars''. 200km range would be for my wife enough. A big contribution for traffic security delivers Tata with the Nano. Who has ever transported wife and 2 children on a scooter will sure agree with this.